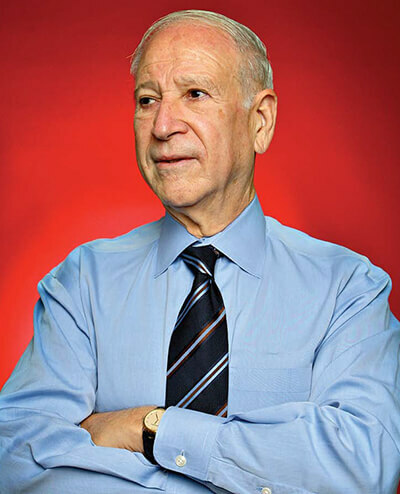 Phillip Frost is one of the nation’s leading philanthropists, a highly-respected physician, an internationally-lauded businessman in the medical and pharmaceutical fields, and the current CEO and chairman of OPKO Health in Miami, Florida. Frost is being recognized for inventing a revolutionary disposable punch biopsy tool, as well as various therapeutic methods for treating rhinitis, cell disease, and diabetes. He was also the founder, chairman and CEO of IVAX Corporation, a Miami-based multinational pharmaceuticals company and chairman of the Board of TEVA Pharmaceuticals. Frost served on the board of regents of the Smithsonian Institution from 2006 to 2010, and as a trustee of the Scripps Research Institute until November 2012. He is a member of the board of trustees of the University of Miami (UM), and with his wife Patricia, is the namesake of the Frost Miami Science Museum, the Frost School of Music at UM, and the Frost Art Museum at Florida International University. Frost holds nine U.S. patents.